Announcing the New 24in48 HQ! In the last several years, I’ve been trying out a few different hosting locations for the 24in48 readathon, and I think we’ve finally found a home! I hope a dedicated blog will allow everyone to contribute and participate fully, and that it will encourage even more readers to join in. 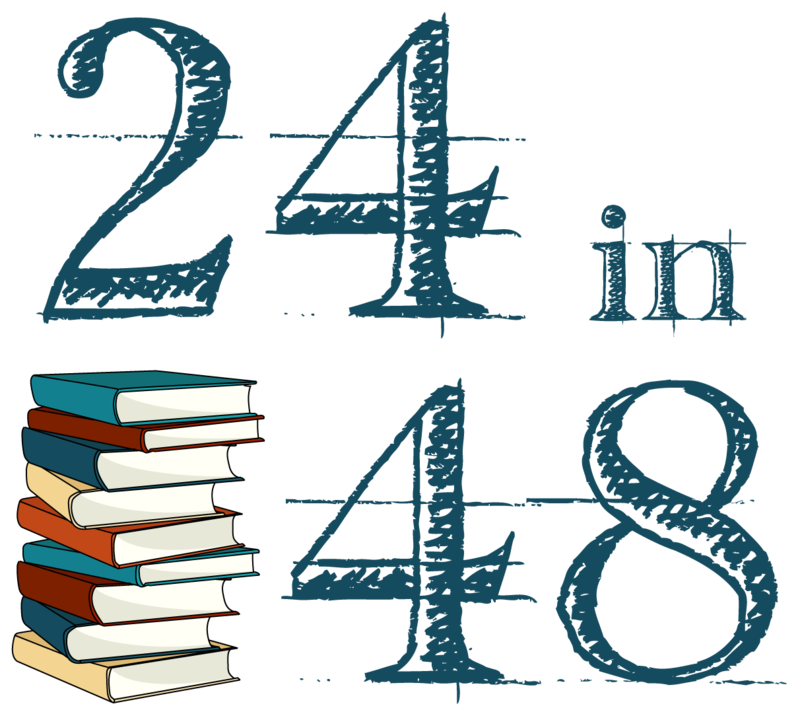 You can also find us on Twitter at @24in48readathon and the hashtag #24in48 on Twitter, Instagram, Facebook, Tumblr, and any other social media you can think of. And as if a new blog wasn’t enough, I’m happy to announce the next readathon weekend. Join me on July 11-12 for 48 hours of reading! Keep an eye here for a sign up form in the next day or so. If you’ve joined us in the past – or even if you haven’t – spread the word about our new home, and mark your calendars for July.